LED Lighting designs has access to over 500,000 LED products. 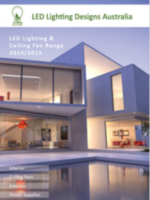 On this page you can find catalogues to download and links to our preferred supplier web sites. Please feel free to browse all the products that we have access to from the luxury of your own home. When you have a list of products you are interested in please send us an email with the Brand and Item numbers and we will send you back a price. Alternatively you can visit our showroom at 1/13 Watson Rd Padstow and sit down with one of our friendly staff to go through all your lighting needs. Please call (02)80143897 or email us at info@ledlightingdesigns.com.au for pricing.